The magic of Finnish Christmas delivered letter by letter from the Arctic Circle. Family, love, a glimmer of Northern Lights and a selection of other ingredients - that’s the secret inside Santa’s letter. Sara, an 8-year-old detective, takes us on an adventure to Santa Claus’ Main Post Office to solve the mystery. Santa Claus has received almost 20 million letters from about 200 countries. Every year almost 2 million post cards are sent from Santa Claus’ Main Post Office. Write to Santa Claus or come visit us! 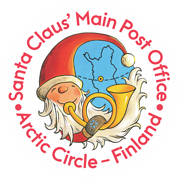 It's an honor to be the official post office of Santa Claus and to look after Santa’s correspondence. Get to know Santa's lovely elves: Reader the Letter Elf, Mail Elf Luke Lichenfoot and Stamp Elf Serenity Snowball. The Post office elves answer children’s questions about Christmas. How does Santa Claus have time to deliver presents to every child, and what happens to naughty children? 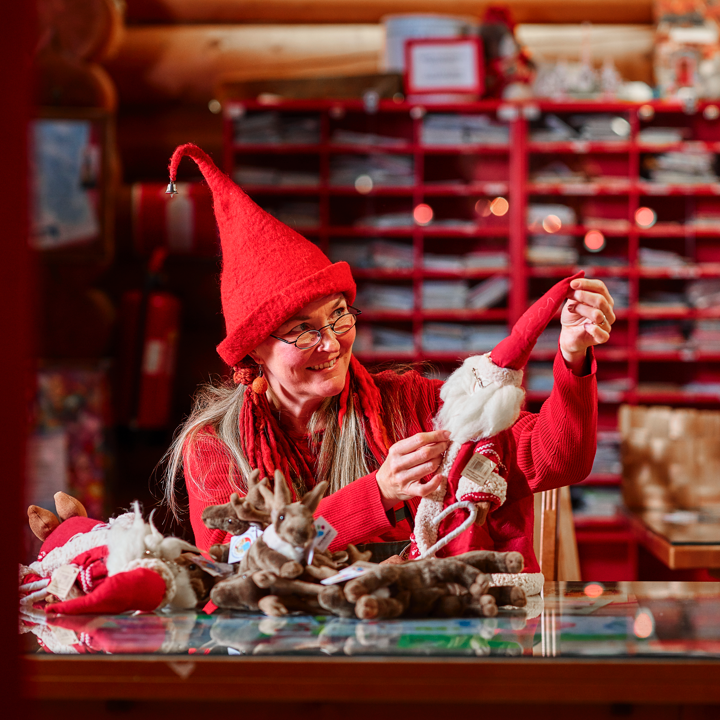 The elves at Santa Claus’ main post office answer children’s questions about Christmas.